It’s difficult to imagine that only a short while ago women were seen as an inferior population to the domineering men of the time. Through bravery and determination, however, women world-wide gathered en masse, known as “Suffragettes,” to show once and for all why their voice mattered, changing the course of history while doing so. 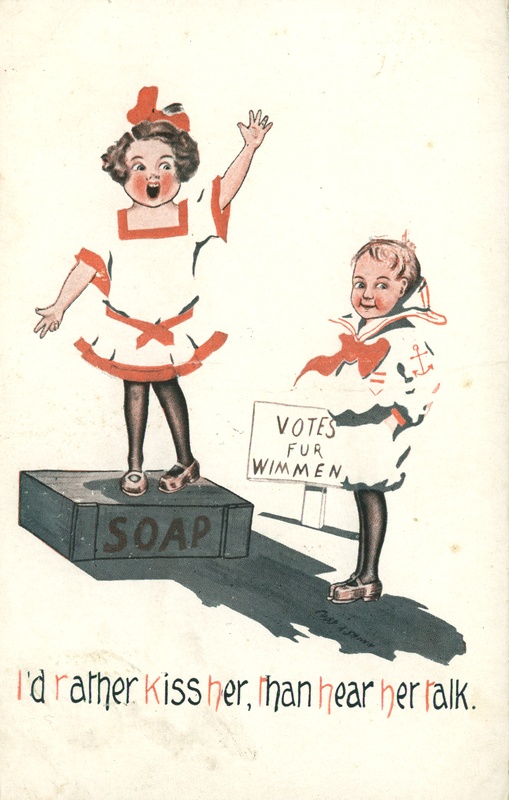 The “Suffragette” movement gained popularity in the late 19th/early 20th century as British women from upper and middle-class backgrounds were becoming increasingly frustrated by their social and economic situation, and were ready to have their opinion heard and respected by the public. But in response to the initial upheaval from women, the male-dominated print media conceived a rebuttal by creating illustrative posters meant to spread fear of women among the male population. 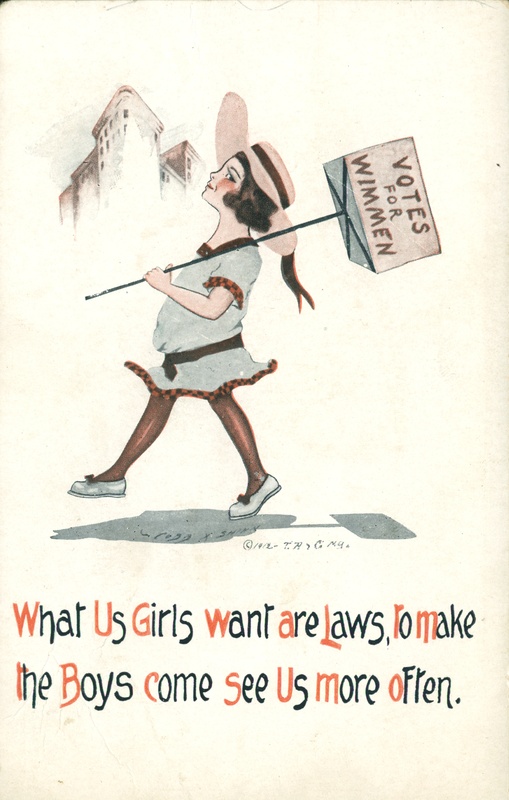 The following series of images are a collection of these vintage posters showcasing the hysteric propaganda spread at the time of the Suffragette movement. Some of them are downright offensive, while most are just laughable. Either way, it is fascinating and refreshing to see how far we’ve come since then. What are your thoughts on these pictures? Share with us below!